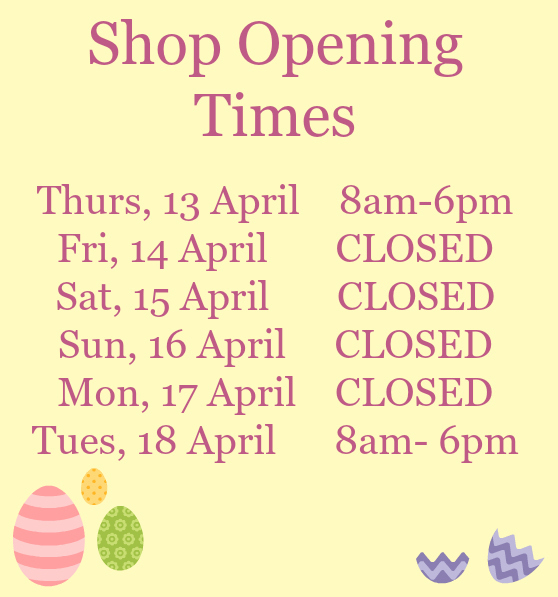 With Easter just around the corner, we'd like to remind you that we will be shutting over the Easter weekend so please place your orders by 12pm on Weds, 12 April if you'd like your order to arrive before Easter! Orders received after 3pm, Weds 12 April will be dispatched on Thurs, 13 April for delivery on Tues, 18 April. Any orders placed after 12pm on Thursday, 13 April will not be dispatched until Tuesday, 18 April 2017. Our Sales Office will shut at 5pm on Thurs, 13 April and reopen at 9am on Tues, 18 April. Our Nottingham shop opening hours can be found below!